MPLS network needs to exchange not only the route information by dynamic routing protocol but also the label information by label exchange protocol in advance.  There is a LDP(Label Distribution Protocol) as a representative of the label exchange protocol. LDP is RFC3036 are defined in. In the LDP, the message will be divided into four. LDP session establishment, is illustrated in the following manner of information exchange. It sends a Hello message on a regular interval in the LDP (default 5 seconds). The transmission is basically a multicast (224.0.0.2), the destination port will use the 646 number of the UDP. However, it can also routers that do not directly connected by the setting sending a Hello in unicast. Hello Message includes LDP ID of source router. The LDP ID, consisting of "Label Space" of 2Byte and "RID" of 4Byte, is the identifier of the LDP use. Here, it will be referred to the [Label Space]:[RID]. If the RID, which is a unique identifier of LSR, is set manually, it will be priority, but there is no manual setting, the largest IP address among Loopback interfaces, what if there is no Loopback interface is the largest IP address of the valid (that link up) physical interface will be used. However, since the physical interface has enabled or disabled vary depending on the circumstances, it is advisable to select the Loopback logical interface. Label Space are there two types of "Per interface label space" and "Per platform label space". Per interface label space is available in the environment that need to change the behavior for each interface. More specifically, it will be used in the LC-ATM environment. Per platform label space is used in an environment other than the above. Specifically, it is used in the Ethernet environment and the like. In the frame mode MPLS, it always used the Per platform label space. In Per platform label space will always be Label Space = Ox0000. Since the LC-ATM is not currently rarely used, it may be basically considered "Ox0000". When the Hello Message mutually recognize the LDP ID of each other by TCP connection is starded from larger LDP ID towards smaller one, and prepare it for label information exchange. At that time, the destination IP address and the source IP address is the one of the interface being utilized RID, requires IP reachability is between its IP address. Since the Loopback interface is likely to be used in the LDP ID, it will be the communication of the IP between the Loopback interface. 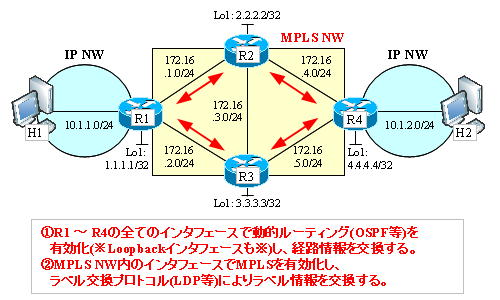 Discovery phase is completed, the cause of when the label information can not be replaced often, is the case route information of the LDP ID is not.Static route Nari (in many cases the IP address of Loopback IF) IP address of the LDP ID in Nari dynamic routing Let's ensure the route information to. Prior to the exchange of label information, you need to replace the IP address information of the IF.